Ready to see Wix and Squarespace go head to head? You see, these platforms managed to achieve two of the highest review scores here on Website Builder Wars and also just happen to be two of my personal favorites. In fact, if you told me I had to create a brand new website right now with either Wix or Squarespace, I honestly wouldn’t know which one to pick as I love them both. I think this comparison is going to be very eye opening for you and me both! With that in mind, let’s roll up our sleeves and dive right in. 1. Which Is The Easiest To Use, Wix or Squarespace? 2. Who Has The Best Templates, Wix or Squarespace? 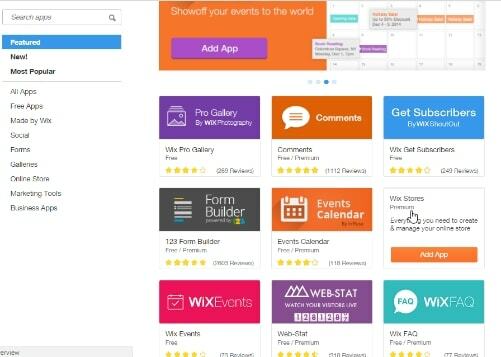 Wix: Wix is one of the easiest website builders on the market and actually quite enjoyable. The website editor is “drag and drop” in the truest sense of the term. You can pick up blocks of text and images, and simply drag them over to wherever you want on the page. You can change colors, fonts, upload your own images and move stuff around until your heart’s content with a sense of freedom that you don’t always get with other website builders. Should you run into an issue with one of the tools in the website editor then fear not, you only have to click on the icon next to the tool which will open a tutorial that’ll explain exactly what it does. In addition, Wix has tons of written tutorials tucked away that’ll walk you through setting up and even marketing your site. Not to mention the plethora of video tutorials over in the “WixEd” training center. Squarespace: Squarespace is also a “drag and drop” website builder although you won’t have as much freedom as you will with Wix. Instead of just picking up text and images and dropping them where ever you fancy, you add “blocks” onto your page. 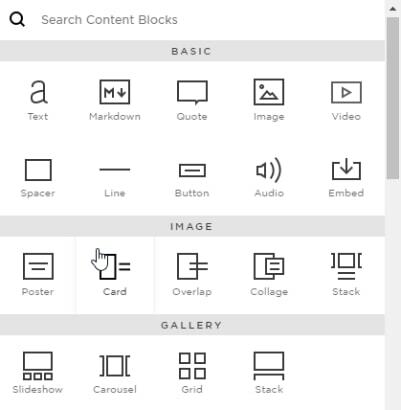 There are many different types of blocks you can add such as text, images, video, buttons, contact forms, and slideshows. Once you add a block to your page, Squarespace will automatically move it into position for you. Additional blocks can then be added next to or on top of an existing block. All of your website editing controls can be found in the main menu bar located on the left-hand side of the screen. Wix Vs Squarespace: I actually enjoyed the whole site-building experience with both platforms but if you want to dive straight in and get something up the same day, then Wix definitely takes less time to master. Squarespace is also relatively easy, but I found myself having to put the creation of my test site on hold and go read the instructions (as much as I hate to admit it). Wix: When you first sign up to Wix, you’ll be asked to choose the type of website you want to create and you’ll be spoilt for choice with over 500 modern, professional templates to choose from. Don’t worry, they’re neatly filed away into specific categories and cover a wide range of industries including automotive, business, online stores, blogs, pets and weddings and just about everything in between. I can say with confidence that whatever the purpose of your site, you’re bound to find a template to suit. All of the templates are pre-populated with logos, images, generic industry specific content and layouts. All you have to do is edit the existing written content and images for that of your own. As I touched upon above, all of the templates are completely customizable which may sound great, but it also comes with drawbacks. The main one being that once you have chosen a template, you’ll be unable to swap it for another unless you’re prepared to start over. Squarespace: Squarespace only have a handful of templates in comparison but damn… they look good and probably my favorite of any website builder to date. They’re also sorted into categories such as business, personal, blog, restaurant, and music. They may cover fewer industries, but my test website started out life with a handyman template and I completely customized it to fit a fictitious cleaning business. By the time I finished, the original template was completely unrecognizable. 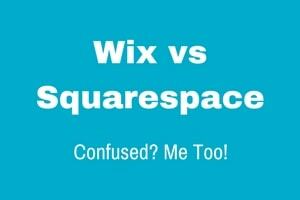 Wix Vs Squarespace: It’s difficult to decide who wins this section and really depends on what you’re looking for. If you just want to pick a template that matches your business or project, swap out the text and images for that of your own, go with Wix. However, if you want next level quality and are prepared to go through a slightly steeper learning curve to customize your template, Squarespace may be the better option. Wix: Wix is chock-full of features to help you create and bring your site to life. #1 Wix ADI (optional): ADI stands for Artificial Design Intelligence and Wix themselves refer to it as “the future of website creation”. In short, you simply answer a series of questions about your business and watch as your new site takes shape right in front of your eyes. From there, you can manually customize it until you’re completely satisfied. #2 Wix App Market: Inside, you’ll find a plethora of in house and third party applications that can be bolted-on to your website. Appointment scheduling, forums, invoicing software, hotel bookings, Google maps, eCommerce store, and Paypal buttons are just of few that spring to mind. #3 Separate Mobile Editor: When people visit your website from a smartphone or tablet, they are not always looking to read about the complete history of your company. Instead, they often just want to access important information such as your contact details or list of services. With the separate editor, you can strip away the non-essential stuff and give your mobile visitors a more streamlined experience. #1 Mobile responsive: Unlike Wix, Squarespace doesn’t have a separate mobile editor. Instead, the templates look great and function properly without any extra work. Many people prefer this option as it involves less work. #2 Strong eCommerce: Squarespace offers eCommerce functionality on all plans although some features are restricted on the cheaper plans. Features include, unlimited products, create multiple variants of each product such as size and color, set tax & shipping costs and accept multiple payment methods. If I were going to create an online store, Squarespace would definitely be on my shortlist. #3 Blocks: Think of these blocks as add-ons or integrations which can be added to your site. Basic blocks include text, audio, video, social media, and contact forms. There are also third party blocks available that allow for additional functionality such as online bookings and email newsletters which can be installed by copying and pasting a section of code into your page. Wix vs Squarespace: Whatever type of website you can create with one, you can also create with the other. Both platforms offer all of the basic add-on features to add functionality to your site but I can’t help that feel the whole process is a little smoother and beginner friendly with Wix. Wix: One of the first things I do when reviewing a website builder is test out the support platform. 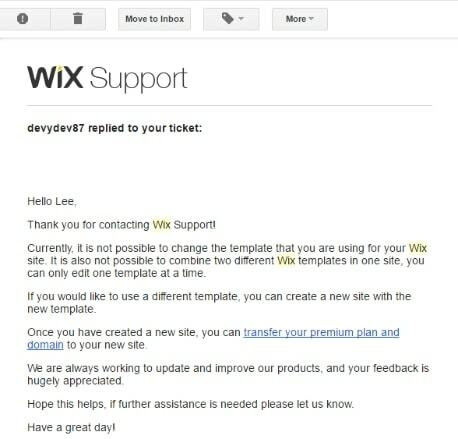 I submitted a support ticket to Wix and received a response within an hour which is very fast, especially considering I was a free user at the time. As well as email support, Wix also has a forum where they will answer your questions as well as getting help from other members. You can also scroll through previous questions as the chances are, someone may have asked it before. If you prefer the personal touch, Wix provides a support phone number and should you call out of the opening hours or during busy periods, you can request a callback. One other feature that I like is, if you have trouble figuring out what a particular tool does, you can simply click on the little help button next to that particular tool which will give you a full explanation of how it works. Squarespace: If you get stuck creating your site with Squarespace, your first port of call is to visit their knowledgebase where you’ll find no shortage of written tutorials and videos which will walk you just about every aspect of setting up your site. If you still need help from a real person, then you have a few options. First, you can contact support via email which I did and again, like Wix, I received a response within an hour. While Squarespace doesn’t offer phone support, they do provide a live chat feature which I actually prefer as you can usually have a transcript of the conversation sent to your email for future reference. Wix vs Squarespace: Both website builders provide both text and video training that’ll walk you through creating your site step-by-step. When contacting support, both companies replied within an hour. The only real difference I found when it comes to getting help is that Wix offers phone support where Squarespace doesn’t. However, you can still jump on live chat in an emergency where they should still be able to solve your issue in real time. 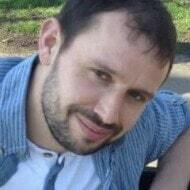 Wix: If price is a major factor for you then Wix has a huge advantage as they offer a completely free website option. Wix will display ads at the top and bottom of your website. Unable to use your own custom domain name. Instead, you’ll be given a free one. For example; leeraybould83.wixsite.com/mysite. Available space on your website is restricted and will increase if/when you decide to upgrade. 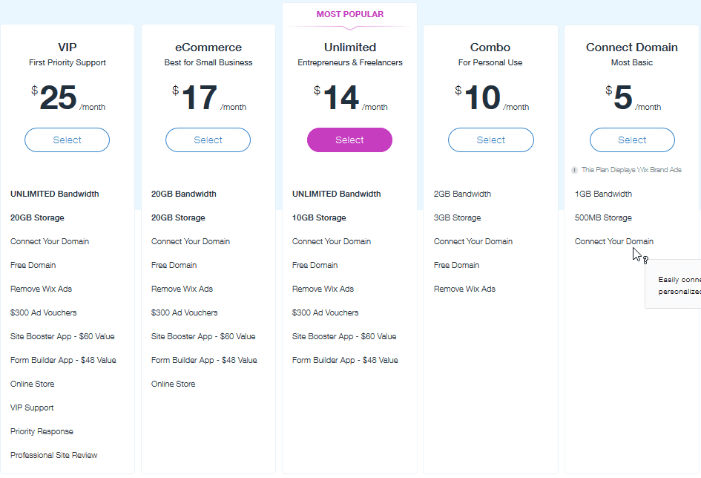 Don’t forget, Wix’s free plan option is really a way for you to test out the platform with the hope of upgrading to a paid plan at some point. Let’s not forget they are a business after all! should you wish to upgrade your account, you have 5 premium plans to choose from ranging from $5 to $25 per month (billed annually). If you want to pay monthly, it’ll be slightly more expensive. 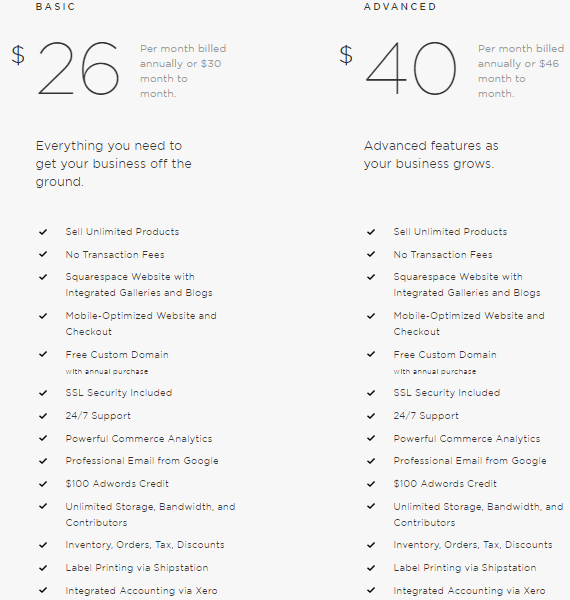 Squarespace: No free website option here, but you do get a 14-day free trial to see is Squarespace is right for you. When your trial is up, you lose access completely unless you upgrade your account which I found a little annoying. 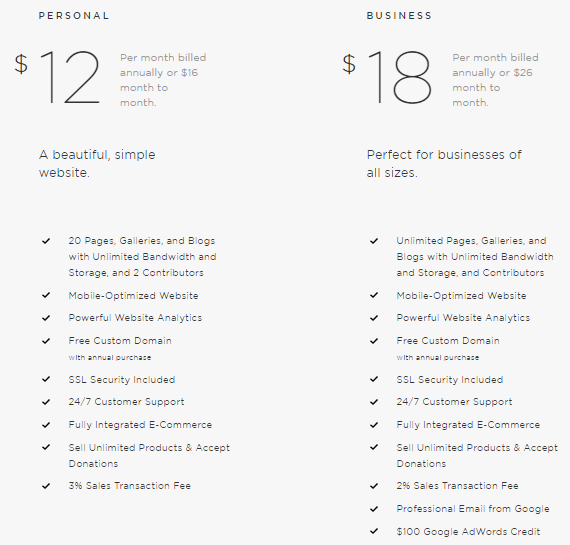 If you decide Squarespace is a good fit, you’ll have a choice of four straightforward plans. If you’re serious about creating a full blown eCommerce site, a dedicated package may be a good option. The Basic package is $26 per month and their Advanced plan costs $40 per month when billed annually. If you sign up to an annual plan, they’ll throw in a custom domain name free for the first year which is worth around $10-$15. Wix vs Squarespace: There should be more to choosing a website builder than the price alone but if you are on a tight budget, Wix plans are slightly cheaper and don’t forget, you can even get started for free. Having said that, if you upgrade and wish to purchase your own custom web address to match your business, that will cost extra where as Squarespace will throw one in for free for the first year. Both website builders are reasonably priced and both have good support platforms in place. 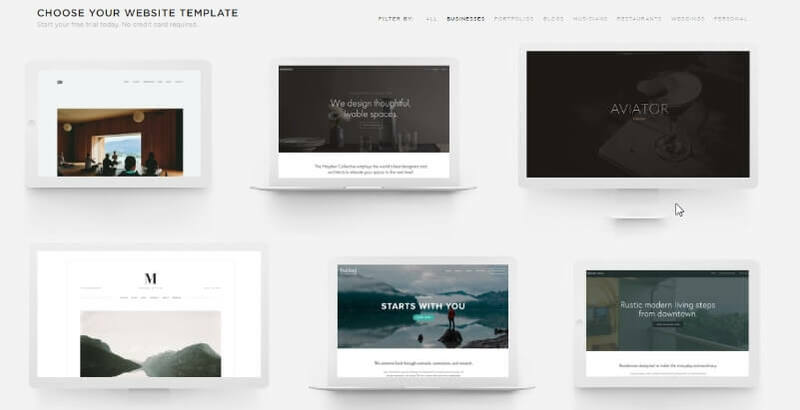 Wix has over 500 professional looking templates to choose from which allow you to swap out the text and images for that of your own business or project. You can also drag elements around and drop them wherever you want on the page and I personally feel that Wix is the easiest out of the two website builders and they also have a completely free website option but it does come with some restrictions. Squarespace, on the other hand, has a slightly larger learning curve and you’re a little more restricted as to where to can place things such as text, images and forms etc on your page. You also have fewer templates to choose from but they are beautiful and you can customize them to really make them your own. They don’t offer a free plan but you will get a 14-day free trial (no credit card required) to test out the platform. If you’re prepared to put in the extra time and effort to get to grips with Squarespace, I can’t help but feel that you’ll end up with a more professional looking website. The only way to really know which website builder is right for you is to take a little time and test them both to see which is right for you. You’ll thank yourself in the long run!